Made with 12 gauge steel, hand ground, color applied, and finished with a clear powder coat. Comes ready to hang. 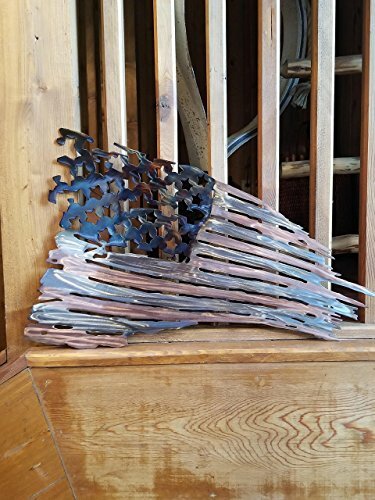 Search Pine Creek Boutique for more of our metal art selection. View More In Mixed Media. If you have any questions about this product by Pine Creek Boutique, contact us by completing and submitting the form below. If you are looking for a specif part number, please include it with your message.